Teachers should learn how to engage in culturally responsive and sustaining instruction—but avoid known pitfalls that come with this important work. District Staff & PD Providers should focus professional learning experiences on building the cultural competencies and knowledge of teachers. They should involve community members and support relationship building. School Leaders should institutionalize support for teachers to learn about and attend to the cultural lives of youth and communities being served. All science learning is a cultural process. For the purposes of equity, it is crucial for science teaching to make meaningful connections to the cultural knowledge, experiences, and ways of knowing of students and their communities. However, it is complex work and involves avoiding possible complications and prevalent myths. Culturally responsive and sustaining instruction should attend to the historical and dynamic nature of culture, inherent variation within cultural communities, and issues of power and sovereignty that come with responsibly connecting to culture. Read below about culture. Identify communities you belong to related to the natural world. What do you know about the youth and communities you serve? How can you learn about their cultural history and goals? How can you work to “overlap” your curriculum with the lives of youth in respectful ways? Avoid Essentializing Cultural Groups. Do not assume entire cultural groups engage in certain behaviors—or share values and worldviews. Within every cultural group, there may be some cultural regularities (practices, values, and worldviews), but there will also be variation. Cultural groups also change over time. We are All Cultural Beings. Do not send the message that the dominant culture has no culture (e.g., that it is “normal” and that only people of color “have culture”). Each of us belongs to multiple communities that share practices, purposes, ways of interacting, and approaches to conceptualizing and engaging with the world. Review this video presentation by Alberto J. Rodriguez (Rodriquez, 2017). Culturally Responsive vs. 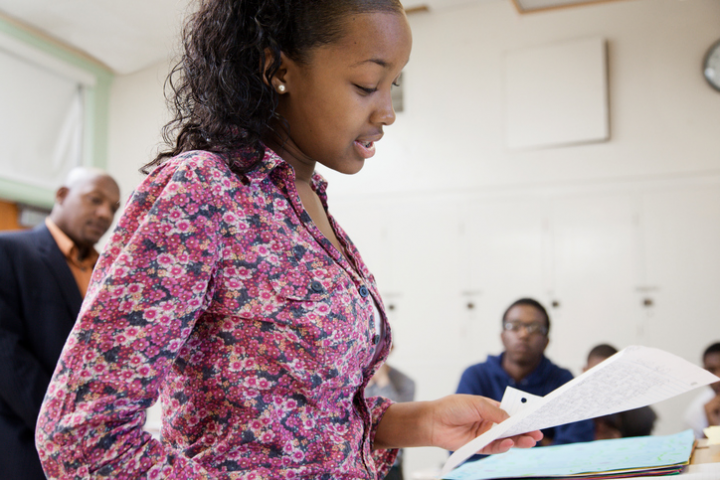 Sustaining Pedagogy: Instruction can be culturally responsive by connecting to the cultural lives of youth and their communities—their languages, literacies, and practices. It can also be a context for sustaining cultural communities—by valuing and working to maintain the languages, literacies, and practices of cultural communities. Culturally sustaining pedagogy promotes cultural pluralism within our democracy. Build on Prior Interest & Identity. Learn how to use self-documentation techniques to identify and leverage local, dynamic views of cultural life in culturally responsive science instruction. Move Beyond Token Cultural References. Do not make token references to the history of cultural groups. Do not include unrealistic scenarios about non-dominant communities in instruction. Instead, interweave the history, present, and future of cultural groups deeply throughout instruction. Work Against the Savior Fetish. Narratives often position members of a dominant culture as saviors, rescuers, and fixers of non-dominant communities. Instead focus on: How are non-dominant communities already effecting change? How can non-dominant perspectives and knowledge contribute to the betterment of society? Do Not Position Students as Cultural Representatives, but Welcome their Voices. Do not ask students to shoulder the burden of representing what “their culture” is like. No individual speaks for their culture, race, or gender. Do support students to share aspects of their lived cultural experiences in ways they are comfortable. Invite Genuine Cultural Contributions from Students. Building on the cultural funds of knowledge of youth and communities is a best practice. But if you do so, be prepared to truly engage and respect their varied contributions. Minimize Epistemic Injury. Fully embrace relevant sensemaking routines students bring to instruction. Do not adversely position their contributions against a Western science way of knowing. Support Students in Taking Meaningful Action. Scientific knowledge can be used to guide and promote social progress, community interests, and civic action. Support student agency in efforts to critically and meaningfully engage in real-world issues.